We know that aging will likely cause us to develop wrinkles and gray hair. These are external signs of a series of processses going on within our bodies. 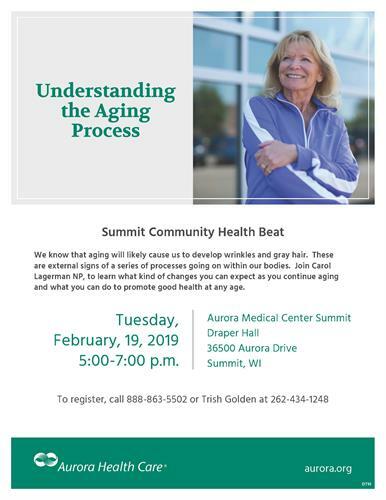 Join Carol Lagerman NP, to learn what kind of changes you can expect as you continue aging and what you can do to promote good health at any age.